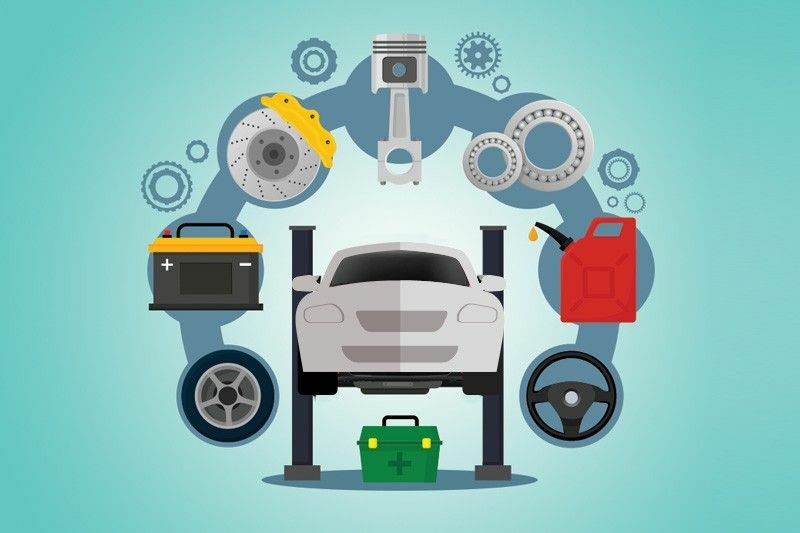 Many Filipinos embark on long drives during the Holy Week—hence the importance of having a car checked before, during and even after Lenten season. Toyota takes care of this by offering free motorist assistance to Filipinos. MANILA, Philippines — As one of the longest holidays in the country, Holy Week is the most-awaited and -anticipated. It is when Filipinos find the time to return to their hometowns and reunite with their families, or go out of town for a much-awaited vacation to the beach or the countryside. Because of this, many Filipinos embark on long drives—hence the importance of having a car checked before, during and even after Holy Week. 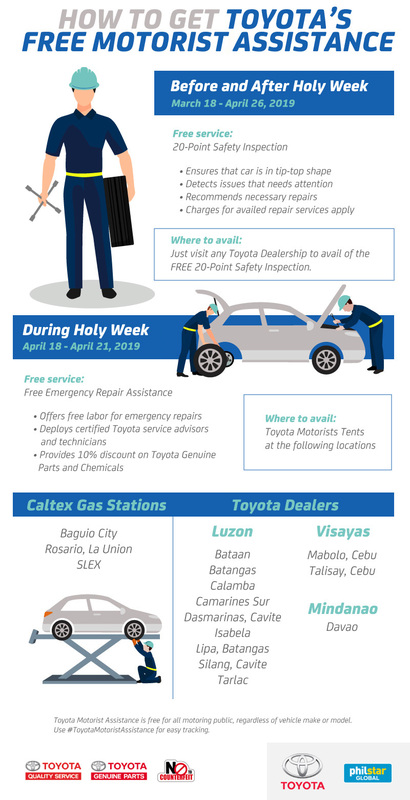 Toyota takes care of this by offering free motorist assistance to Filipinos traveling for the Holy Week. This is part of Toyota’s efforts to make genuine parts and quality service accessible to motorists this season. It also aims to provide a safe, comfortable and convenient time on the road, hence, the service is open for both Toyota and non-Toyota users. Committed to providing customer care, customer satisfaction and worry-free ownership, Toyota Motor Philippines has been offering its Motorist Assistance Campaign since 1991. This annual civic-oriented service activity takes place during the Lent and Undas seasons when most Filipino motorists are on the road for long travels. As such, Toyota has offered the Motorist Assistance not just for Toyota owners but also for the general motoring public in the country. Watch out for the next Toyota Motorist Assistance Campaign from October to November. For more information, visit www.toyota.com.ph.